Rummy, one of the most popular card games of the world, has been played throughout the centuries among friends and family members. Now, in the digital world many online websites and mobile apps have started offering rummy card game with real cash prizes. Considering the busy lifestyle we lead and time being less always, switching to online rummy over offline is a wise decision. In addition to the real cash winnings and availability anytime, anywhere, online rummy has other advantages too. S let’s look into the top 5 things of online rummy that you ought to be aware of. 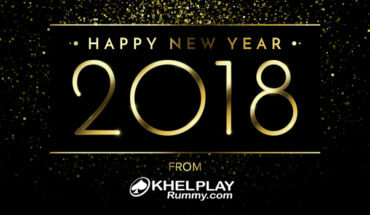 You can play rummy for cash via a gaming website like KhelPlay Rummy from your desktop or laptop. But what if your device has conked off or there is no electricity at home? Or you have time to play rummy only when you are commuting to work? 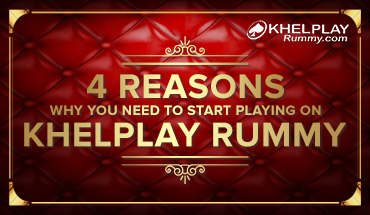 Well, then you have the KhelPlay Rummy mobile app. You can seamlessly switch between the website and app. This mobile app is compatible with Android and iOS devices. A rummy website is a great platform to make friends with like-minded people. Here you can meet people who are beginners as well as professional at the game. Sharing knowledge with them can help you learn more about the game and work out better gaming strategies. Each of the suits in a deck of cards is said to represent the four pillars of an economy. Spades represented the Army, while Hearts represented the Church, Diamonds represented Commerce and Clubs represented agriculture. In the 4 cards of kings, only the king of hearts is without a mustache and has a weapon behind his head. Fascinating isn’t it? Rummy involves many math concepts that can activate the brain cells to make you smart and sharpen your reflexes. This game gives a boost to your mathematical skills involving probability theory and permutation and combination. Additionally, rummy players are also considered multi-taskers. This skill to multitask can help you in various walks of life. Playing online rummy games is a great way to shift your mind from ongoing stress about a job or personal matter. After a game of rummy, you’ll feel refreshed and can relook at things bothering you with a clear mind. Wow, this blog post has been a real eye-opener for me. I never gave much thought to the cards deck used for playing rummy. I am glad to know the fascinating tales behind each card. I shall read more about them in depth online. Also, the fact that rummy online games work as stress busters is good news. I am happy to know these facts; I feel enlightened now. I will be sharing this post on my social media for all my friends and relatives to read about these amazing facts too. We are glad to know that we could assist you enhance your gameplay. Happy gaming! I am new to rummy, so I keep reading this blog. It has helped me improve my gameplay and also learn more about this fascinating game. I have sharpened my knowledge on rummy rules here and now this blog post that introduced me to some fantastic facts too. I knew that online rummy is available on multiple platforms, but I never realized that it acts as a social networking platform too. Of course, I have made a couple of friends via KhelPlay Rummy, just never realized it. Since childhood, I have always wanted to know the story behind rummy cards. I would ask my father about it, but he too was unaware. It’s glad to know that indeed, each card of rummy symbolizes something. I never thought that they could be highlighting the four pillars of an economy. I will be sharing this post with my dad, so he can learn too. I hope to see more detailed blog posts on the making and symbolism of each card in a deck. This is a very intriguing topic indeed.